Make no mistake. Hayao Miyazaki of Studio Ghibli fame doesn’t seem easy to please—even if you are his son. Rather, especially if you are his son. Stills from the documentary How Ponyo Was Born have circulated online in Japan. 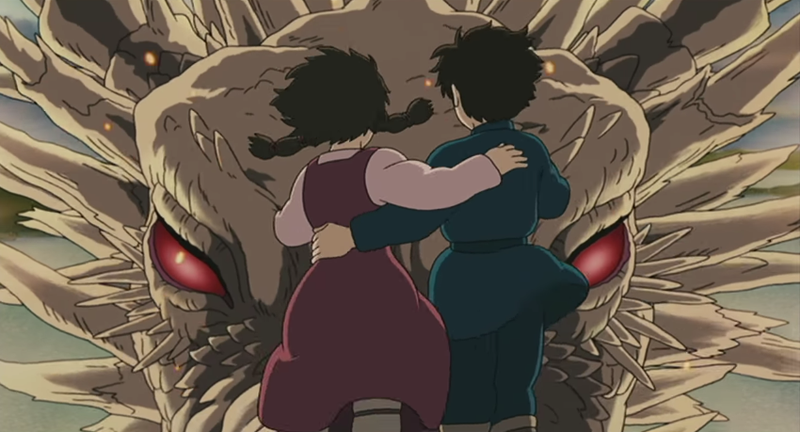 The documentary is not new, and the images are from the sequence in which Hayao Miyazaki goes to see Tales from Earthsea, the 2006 animated feature directing debut of his son, Goro. The documentary pointed out how Miyazaki wasn’t home when Goro was a kid, and how Goro said that instead of being raised by a dad, he was raised by his father’s works. Before the screening, Miyazaki senior is shown fidgeting about. The documentary’s announcer points out that Miyazaki didn’t view his son as a director, because he thought people with no animation experience should not suddenly helm features. Fair enough! In his online blog, Goro Miyazaki later wrote that his dad passed along the following message: “It was made honestly, so it was good.” Goro added that those few words brought tears to his eyes. Goro Miyazaki followed up his 2006 debut with From Up on Poppy Hill, a film that was far better received than Tales from Earthsea. His father co-wrote the script.